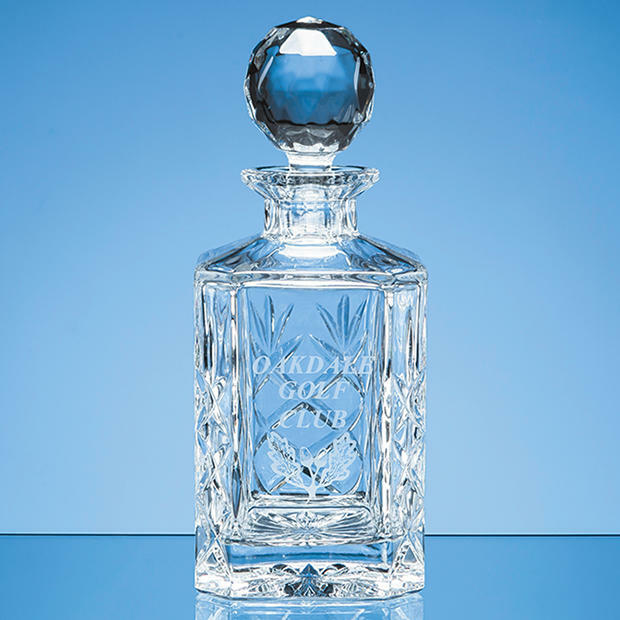 Blenheim Spirit Decanter in Lead Crystal. Panelled. This impressive square spirit decanterin 24% lead crystal with hand cutting and polishing on 3 sides has a large plain panel for engraving your own badge, logo and text.. Absolutely perfect for corporate gifts, awards and prizes. Also for sporting awards, and simply as a very special present.